Archiware P5 - One software, many solutions. P5 Backup is the automatic, high-performance server backup and restore solution for saving data to tape or disk. P5 Backup2Go offers a reliable, secure and efficient backup for laptops and workstations – regardless of their location. You could be in the office, on the road or at home! P5 Synchronize is the simple solution for data availability. Servers RAIDs or SANs are cloned and immediately accessible as fail-over. P5 Archive is the clear & easy archive software for long-term storage. It offers extendable metadata fields and Quicktime previews for effective search and retrieval. 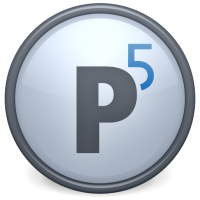 P5 works for Mac, Linux, Windows and Solaris.